Photo by Serena Andrews and used with permission. 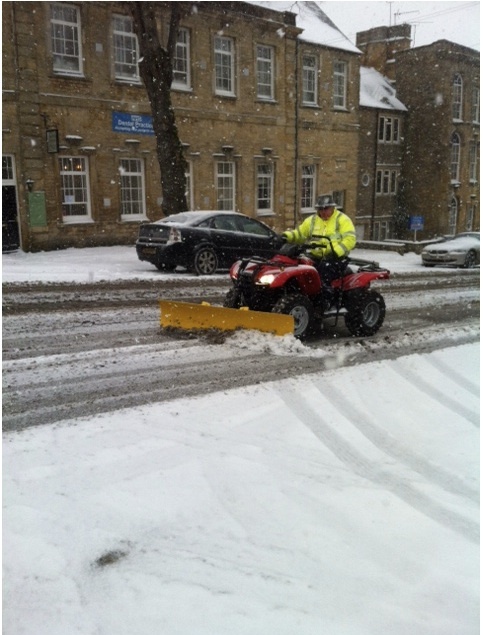 The recent week of thick snow saw Chipping Norton Town Council’s Snow Plan springing into action. Co-ordinated by Deputy Mayor Mike Tysoe, there was everything from ploughs to quad bikes to snow patrols in each part of town, aiming to help clear side roads and paths. The grit bins were ready – but some residents were a bit over-enthusiastic in using it all up, and so the Council is keeping some of its precious supplies ready in case of a February repeat. help clear paths – with a special message to shopkeepers to keep their pavements and entrances clear and safe. Councillor Tysoe thanked everyone who was in action – as a result, the town managed to keep moving! 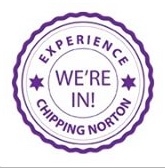 This entry was posted in local people, news and tagged Chipping Norton Town Council, Deputy Mayor, grit, Mike Tysoe, snow, Snow Plan. Bookmark the permalink. 1 Response to Snow Plan In Action! People forget the practical uses of quad bikes sometimes. The recent snow has really put them into the spotlight though. We had similar scenes up here recently.